The Dell Venue 8 7000 Series with Intel® RealSense™ snapshot, powered by Intel® Atom™ Z3500 processer series is the world’s thinnest tablet. RealSense snapshot is Intel’s enhanced 3-D photography solution that captures depth information, without sacrificing image quality, to bring new life to flat, static photos. It was announced today at the Intel Developer Forum (IDF) that Intel® Edison, only slightly larger than a postage stamp, is now available to pro makers and entrepreneurs to power small and worn devices. INTEL DEVELOPER FORUM, San Francisco, Sept. 9, 2014 – Intel Corporation CEO Brian Krzanich kicked off Intel’s annual technical conference with a broad set of computing initiatives and projects showing how the company is moving quickly to enable new market segments where everything is smart and connected. Krzanich and other executives announced new hardware and software developer tools, previewed upcoming Intel technologies and announced new products across several technology segments. During the keynote, Krzanich was joined on the keynote stage by several Intel executives, Michael Dell, chairman and CEO of Dell*, and Greg McKelvey, executive vice president and chief strategy and marketing officer of the Fossil Group*. The technical conference’s format and content were revamped this year to appeal to an expanded range of engineers and programmers, reflecting Intel’s efforts to extend the reach of Intel technology. The agenda and technology showcase content expanded beyond PCs, mobile and the data center to also include the Internet of Things (IoT) and wearables and other new devices created by so-called “makers” and inventors. More than 4,500 people are attending the forum this week from around the world. 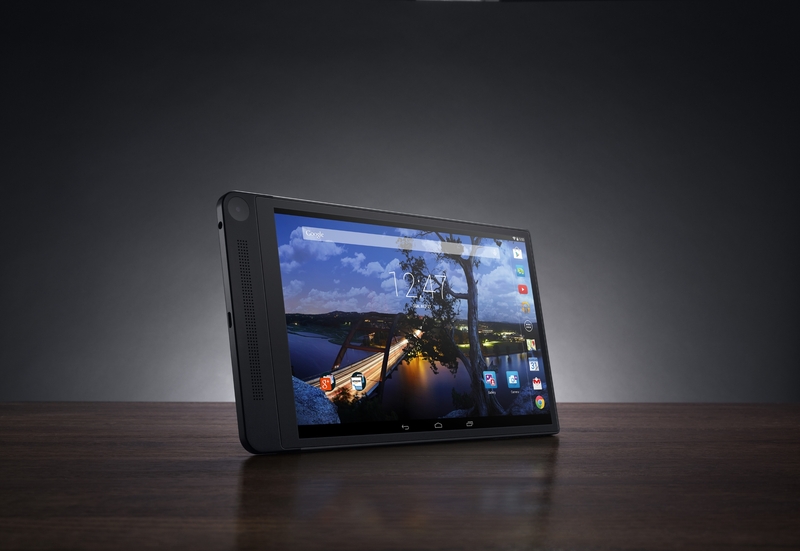 Intel announced the Intel Reference Design for Android program to offer tablet users a high quality, consistent experience based on the latest Android* operating system. Intel will help scale the deployment process of Android for tablet manufacturers by providing the software engineering work, streamlined access to Google Mobile Services*, as well as support for updates and upgrades to future Android releases. Intel announced the Analytics for Wearables (A-Wear) developer program that will accelerate development and deployment of new wearable applications with data-driven intelligence. The developer program integrates a number of software components, including tools and algorithms from Intel and data management capabilities from Cloudera* CDH all deployed on a cloud infrastructure optimized on Intel® architecture. Developers of Intel wearables will use the A-Wear developer program free of charge. Intel announced the first commercial availability of the Intel® XMM™ 7260 modem, now shipping in the Samsung* Galaxy Alpha smartphone for Europe and other regional markets. The Intel XMM 7260 and Intel® XMM™ 7262 modems support one of the industry’s fastest mobile standards, delivering Category 6 data rates up to 300 Mbps. The modems are Intel’s second-generation LTE platforms and provide device manufacturers a high-performance, power-efficient solution for the coming wave of LTE-Advanced networks and devices. 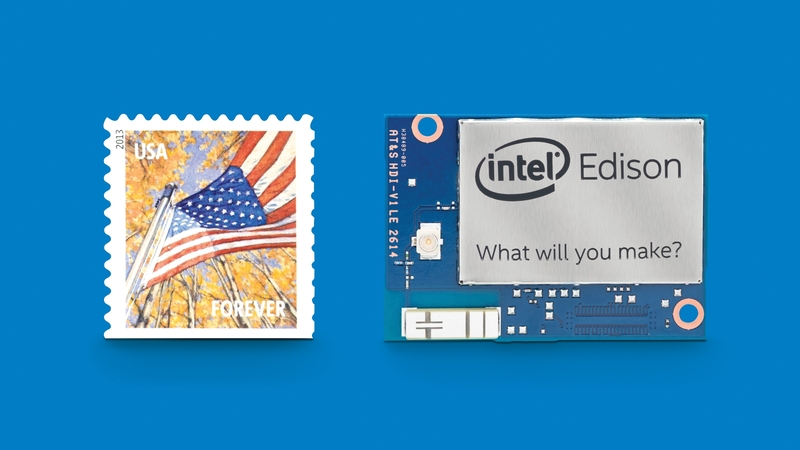 Intel® Edison, a postage stamp-size computer with built-in wireless that was announced at CES, is now shipping and available. The platform is designed to enable rapid innovation and product development from inventors, entrepreneurs and consumer product designers by simplifying the design process, increasing durability and providing additional cost savings. AT&T* will be the exclusive carrier for the”My Intelligent Communication Accessory” (MICA) bracelet designed by Opening Ceremony, engineered by Intel, that was introduced last week in New York. Intel® Wireless Gigabit Docking – a full wireless experience that includes wireless docking, wireless display and wireless charging – was demonstrated via an Intel reference design based on a 14nm next-generation Intel processor. Developers got a preview of the next generation 14nm Intel® Core™ processor for 2015. Renowned physicist Stephen Hawking joined the conference via video to discuss how technology for the disabled is often a proving ground for the technology of the future. In connection with Hawking’s video attendance, Intel revealed for the first time a unique Connected Wheelchair Project, a proof of concept designed by Intel interns as part of the Intel Collaborators program. The project demonstrated how to transform standard “things” into data-driven, connected machines using the Intel Galileo Development Kit, based on Intel® Quark processors, and Intel® Gateway Solutions for the IoT, featuring Wind River* and McAfee* security products. Developers will experience 164 technical sessions with industry and Intel experts. Intel’s business units and more than 180 leading companies from around the world will showcase 700 hands-on demonstrations of their newest innovations and future technologies at the IDF Industry Technology Showcase. During the IoT mega session this morning, Intel Vice President Doug Davis will address interoperability and security challenges and describe Intel’s integrated hardware and software building blocks for edge-to-cloud IoT solutions. He will disclose that Intel is collaborating with AT&T*, Cisco*, GE* and IBM* to create complete solutions utilizing their platforms and Intel’s building blocks. The companies will announce joint products that are available today in addition to future product plans. In the Intel Edison, Wearables and New Devices mega session this afternoon, Intel Vice President Mike Bell will preview several Intel Edison-powered prototype devices, including a 3-D printed interactive garment and a braille printer and embosser. Meridian Audio*, a top high performance audio and video component manufacturer, will also discuss how Intel Edison contributes to advancing its wireless audio product offerings. During the Software Developer mega session this afternoon, Intel Vice President Doug Fisher will introduce tools that help developers create software easier, faster and across ecosystems. He will also talk about the ease with which OEMs and ODMs will be able to build a Windows-* or Android-based device using customized tools and reference designs from Intel. In the Mobile Technology mega session this afternoon, Intel Vice President Hermann Eul will challenge developers to play a role in solving the world’s most critical problems and advancing societies across the globe, in particular in developing countries, through innovations for the most prominent technology in people’s hands, the mobile device. He will highlight the hardware, software and communications technologies that will allow developers to tap into this opportunity and aid in providing change, progress and innovation. During the Data Center mega session tomorrow morning, Intel Senior Vice President Diane Bryant will discuss how data centers are being re-architected, driven in large part by the rise of the digital service economy. This session will include an update on future Intel silicon photonics products and details on how Intel is tailoring products for individual data center customers. In the PC Reinvention and Innovation mega session tomorrow morning, Intel Senior Vice President Kirk Skaugen will discuss how developers can address the 600 million unit global opportunity of 4-year-old and older PCs that could be replaced with exciting new form factors and new experiences across multiple operating systems. Skaugen will update developers on ChromeOS* and Intel® Wireless Display momentum, and as well as the Alliance for Wireless Power wireless charging consortium. Intel, Intel Core, Intel RealSense, XMM, Quark and the Intel logo are trademarks of Intel Corporation in the United States and other countries.